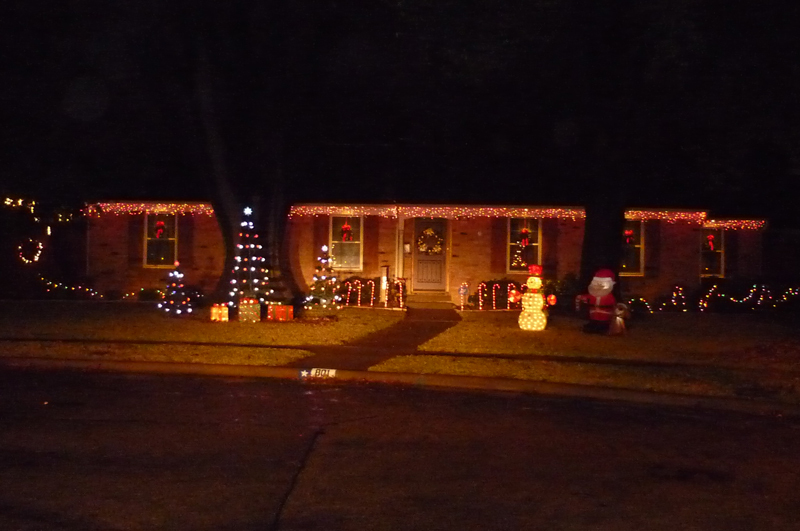 December 2014 Yard of the Month! 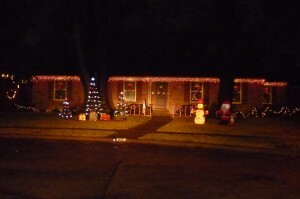 It was wonderful to get home from our neighborhood cookie exchange and find that we have been voted Decorated Yard of the Month, it is truly an honor. We have been in the neighborhood for 8 years and could not have better neighbors. We have such a unique neighborhood where we get together for a neighborhood Christmas dinner, cookie exchange, and a get together twice a month for wine and appetizers. It is not unusual to look out the window and see a neighbor helping another neighbor. We love being so close where we can walk to Santa’s Village or to the great Octoberfest at the park. Heights Park is such a wonderful place to live. The yard is truly a labor of love for us. It seems to grow larger every year. Thanks so much, HPNA, for the honor and the hard work you do for the neighborhood. Find out more about Yard of the Month (and nominate a yard) right here.